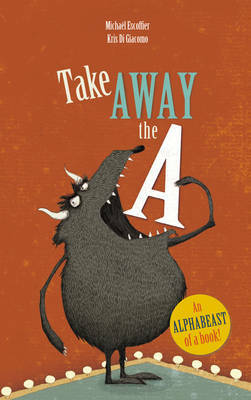 The final book in Michael Escoffier and Kris Di Giacomo's surprising, clever, and fun wordplay trilogy that includes Take Away the A and Where's the Baboon? Here you will find ridiculously delightful art, an engaging narrative, and wordplay that will keep even preschoolers deeply engaged. Michael Escoffier discovered his passion for telling stories as a youth. He lives in Lyon with his wife and children. Kris Di Giacomo is an American who has lived in France since childhood. This is her eighth book from Enchanted Lion. The others are My Dad Is Big & Strong, BUT..., Brief Thief, Me First!, The Day I Lost My Super Powers, Take Away the A, Where's the Baboon, and Enormous Smallness: A Life of E. E. Cummings.